It was nearly 150 years go – in 1871 – that Mrs. O’Leary’s cow knocked over a lantern and caused the Great Chicago Fire. $28 million South Air Traffic Control Tower at O’Hare International Airport. The 218 ft., 13-level tower also includes a 10,000 sq. ft. base building and a 450 sq. ft. octagon-shaped cab at the top. The tower – O’Hare’s third – is part of the $6.6 billion O’Hare Modernization Program, which is replacing the old system of intersecting runways with a parallel runway set-up that will limit delays and allow for future growth. When the program is completed, the airport will have eight runways; the South Tower will manage the busiest one, the 7,500 ft. long Runway 10L/28R. 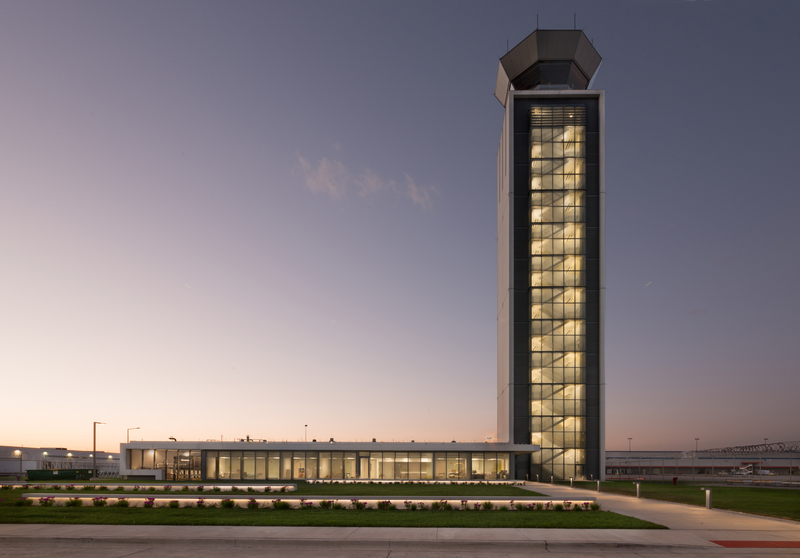 The general contractor, Chicago-based Walsh Construction, was one of the top three airport contractors in the U.S. in 2013 and completed O’Hare’s North Air Traffic Control Tower in 2008. Ground was broken on the cast-in-place concrete South Tower in June 2013, and the Federal Aviation Administration (FAA) is now commissioning it with hopes for an opening before the end of the year. Because of that conflagration so many years ago, Chicago retains a high level of sensitivity about fire safety. 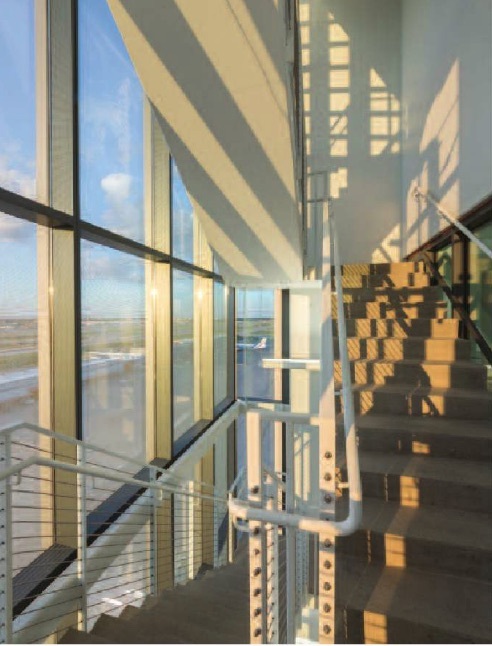 Consequently, the Chicago Department of Aviation (CDA) required that the new tower have two sets of stairs – rather than the usual one – in addition to an elevator. Jakalski says adding a second stairwell not only required a different type of design, but a different kind of design process. Charrettes – collaborative sessions when project stakeholders meet several times with designers to develop a solution to a design problem – were a vital part of the process, and productively resulted in the revisions to the typical tower plan that were necessary to accommodate the second stairwell. 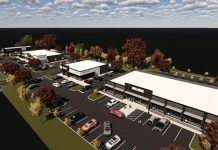 The design process was also facilitated through the use of Autodesk Revit, a BIM (Building Information Modeling) software in which the entire building and all components are modeled in true 3-dimensions, enabling all team members to not only view updates and changes in real time, but also to see the impacts that even minor changes can make on the overall design. “It was through a rigorous design process that we came to the realization that an adaptation of a typical design was not appropriate – and that led us to a new and better solution. Everyone jumped in to solve problems. 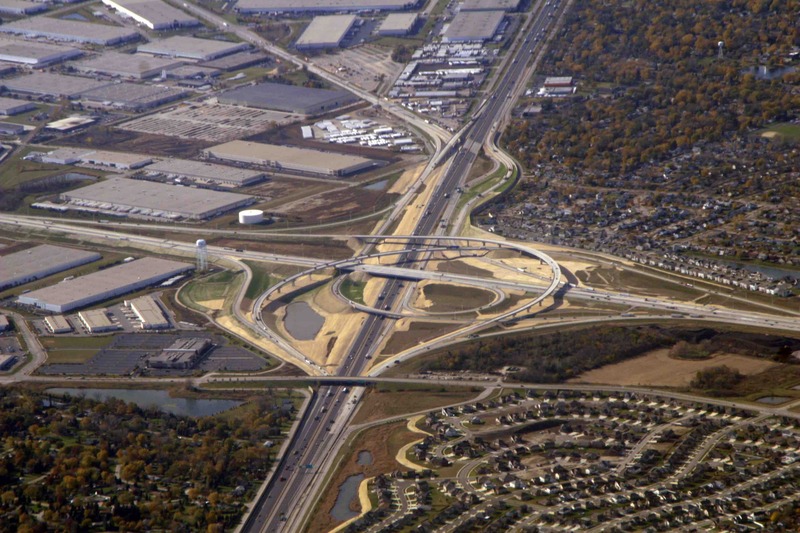 It was a true collaborative process,” says Thomas Hoepf, vice president and principal design architect at exp. “So we made the middle hollow and put the stairs and the elevator on the outside. A control tower is basically just a machine for controllers to control air traffic. The FAA was skeptical at first, but then came on board when they saw the ease of installation and the serviceability the new design provides. The equipment is directly below the monitors where the controllers work, so new technology – things that we can’t even predict today – can be easily incorporated. 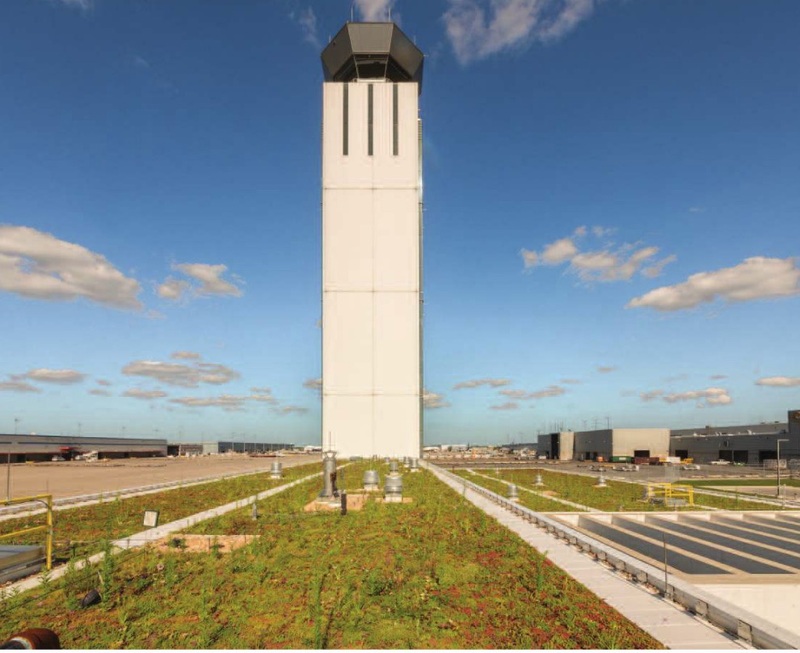 The tower’s final design, he says, is about function, sustainability and appearance.” After it was developed and approved by the charrette participants, the FAA took it one step further, creating a life-sized model of the tower cab at its facility near Atlantic City, NJ. The 3D mock-up featured simulation software that made users feel like they were in a real air traffic control tower directing aircraft. That step took about five months. One result: the simulation made apparent that controllers would have difficulty seeing part of the taxiing area. 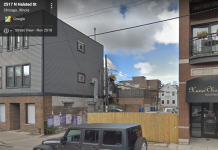 So the building was slightly redesigned, and the taxiing area was moved 50 ft.
Sustainability was also a driving force in both the design and construction. 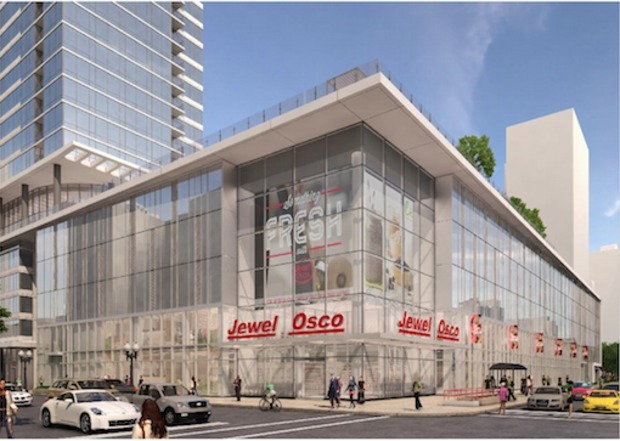 The initial goal was to seek LEED Silver designation, but Perez is hoping for the Gold level. Chicago has long sought to be “The Greenest City in America,” and it is not just empty rhetoric. The CDA has developed its own green document, “The Sustainable Airport Manual (SAM),” a comprehensive guide for implementing environmentally sustainable initiatives encompassing all airport operations. The control tower was no exception. 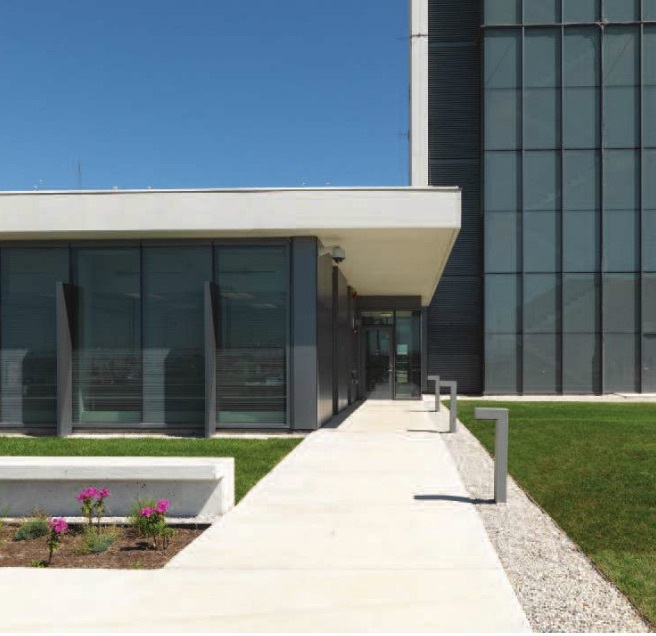 The base building features daylighting and a green roof, and it and the tower made use of locally sourced materials as much as possible. Materials made from recycled products were also used, and efforts were made to divert waste from landfills as much as possible. 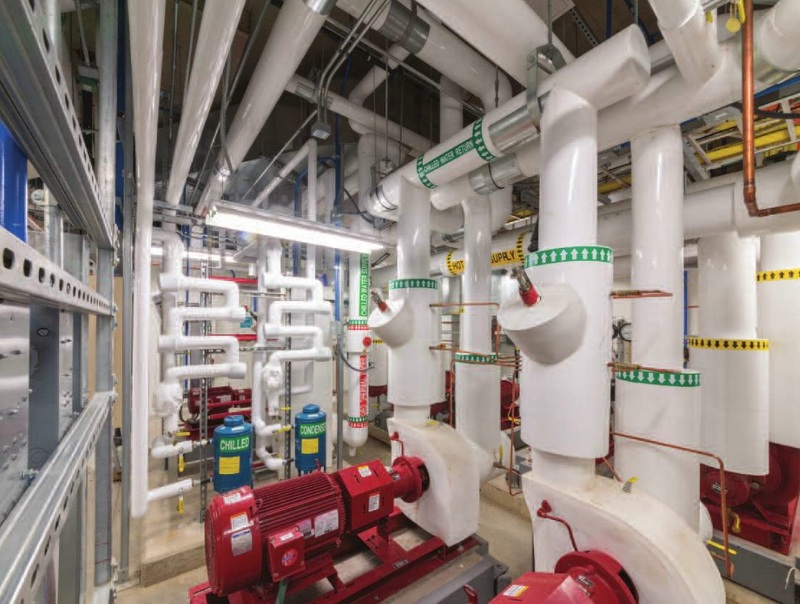 An on-site geothermal well field provides energy for heating and cooling; Jakalski estimates it will eventually reduce heating and cooling costs by 14 percent. Contractors had much more on their minds than LEED designation. For one thing, rigorous security procedures were in place at all times. To improve safety and efficiency, the steel frame cab atop the tower was assembled on the ground and then hoisted up to the top of the tower in four pieces. In addition to the working area, it also has a break room, kitchenette and bathroom to minimize the need to use the elevator. Once the cab was in place, the glass was installed, and each individual piece was made to meet stringent standards and was inspected before being shipped from a plant in Canada. Chicago-based Christopher Glass & Aluminum handled the contract, which many glazing manufacturers passed on because of the demanding requirements. After the first stage of electronics and equipment was installed, the FAA came in and installed more. 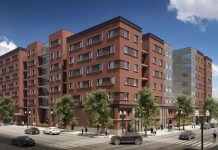 Walsh self-performed the concrete and carpentry work and subbed out the other work to about 20 to 25 contractors that employed some 1,000 workers. 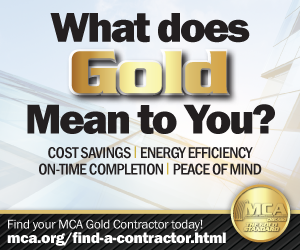 But because the site was so small, there was never more than 60 people working there at any one time. To prevent the arm of the construction crane from swinging over taxiing aircraft, a crawler crane was used. The crane boom had to be lowered when the FAA mandated shorter height restrictions due to inclement weather. Workers also had to deal with the noise of the airport. Planes, their engines revving, taxied by only about 100 ft. away. “For once, it was nice not to be the noisy one in the neighborhood,” Perez says.